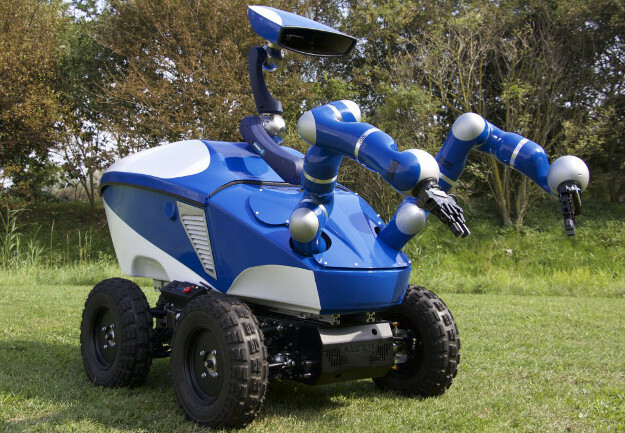 The ESA utilized the GRP 4400 wheeled, intelligent platform to create a rover-based robotic arm system called "Interact Centaur". ESA astronaut Andreas Mogensen will control the rover on Earth from the International Space Station (ISS) on September 7th, 2015. Read the ESA article below. 27 August 2015 - Early September will see the very first force-feedback-based teleoperation of a rover-based robotic arm system on Earth from the International Space Station, orbiting 400 km above our heads. Robo Sally was featured on National Geographic's "Megatechnology by Stephen Hawking". Watch the video below. Note: The video is from Nat Geo's Polish site. CBS News highlighted Robo Sally on "60 Minutes Overtime". Watch the video by clicking on the external link above. The article has been reproduced below. Meet "Robo Sally." She has the most sophisticated robotic hand and arm ever engineered, but if you talk to her lead designer, Michael McLoughlin, here's the most exciting thing about her: if Robo Sally's arms are blown off on the battlefield, it's no big deal. Unlike humans, says McLoughlin, "it's easy for us to build a new arm for the robot." By tasking Robo Sally with dangerous missions like diffusing bombs or manning checkpoints, soldiers can operate her remotely from a position of safety -- which could, one day, dramatically decrease the numbers of soldiers who suffer devastating limb injuries and amputations. 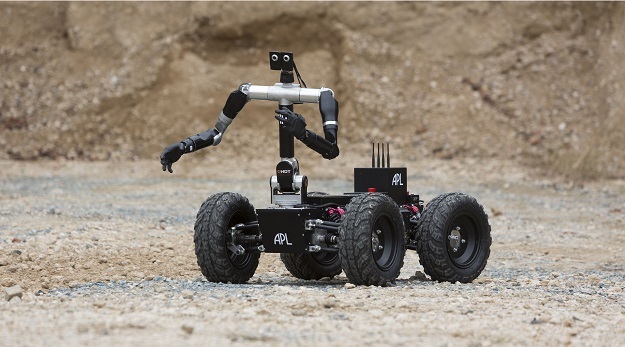 Funded by the Department of Defense and created by McLoughlin's engineering team at the Applied Physics Laboratory at Johns Hopkins University, Robo Sally will eventually be operated from great distances. It's feasible, says McLoughlin, that a technician located on a base in the U.S. could diffuse a bomb in, say, Afghanistan, by wearing the special Robo Sally suit and visor that Scott Pelley tried out in this week's 60 Minutes Overtime feature (above video player). As you'll see in the video, complicated physical tasks are no problem for Sally. Her arms are the same size and weight of a man's arms -- and every bit as strong. She can curl up to 50 pounds, and her agile fingers, each containing a high-efficiency mini-motor, can squeeze 20 pounds of pinch force. Pelley, a well-known tech geekaround 60 Minutes, is clearly wowed by Robo Sally's talents. Check out the above video to see her in action and let us know what you think. Robo Sally on "60 Minutes Overtime"